Adding or updated credit card details is an easy process with RepCheckup. Log into your RepCheckup account and navigate to the top right hand side of the screen. Click on your name to access the drop-down menu. The drop-down menu will allow you to select between two options: account settings and log out. 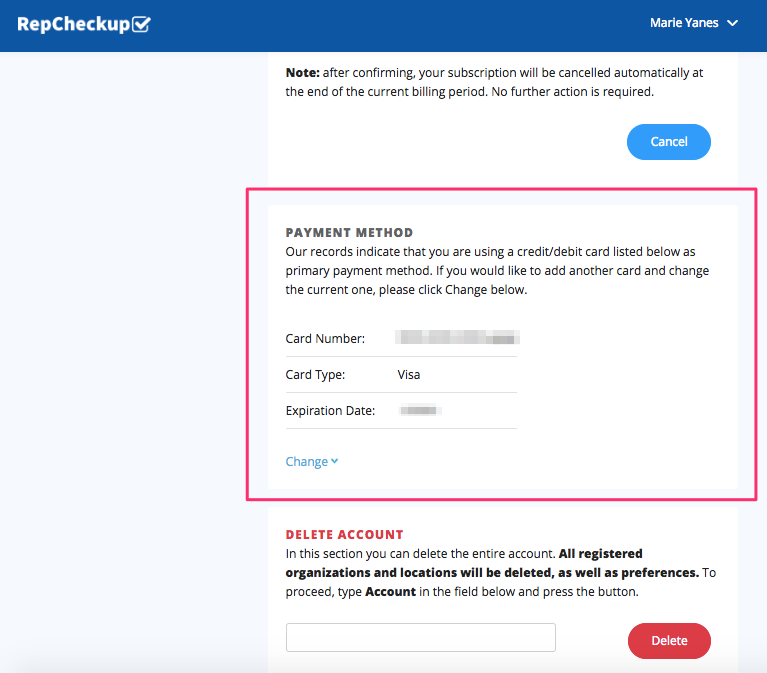 Simply select the “Change” option below the account payment summary. Click “Submit” to finalize the change.